Trek through the mist to stand atop the winding ramparts of Lohagad fort on one of the best short treks in Maharashtra. 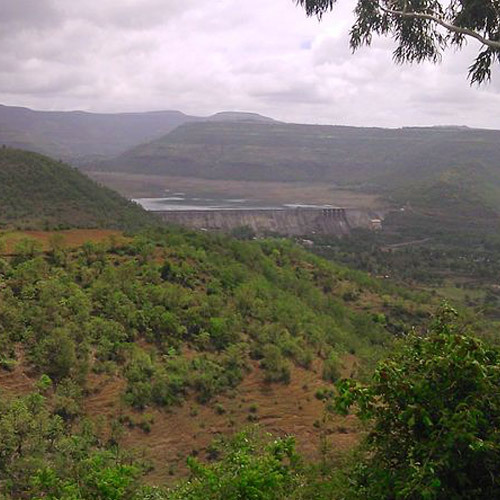 This easy trek starts close to Lonavala, and is perfect for first-timers, families, and groups with friends. Lohagad Fort is one of the most popular treks in Maharashtra, thanks to the easy trek route. Anyone can do this trek, including families with children. The sturdy structure of the fort is still mostly intact, and you’ll climb to 3400 feet to get to the top. The main attraction of Lohagad fort is the famous Vinchu Katta, the winding rampart walls that are shaped like the tail of a scorpion. The tail is roughly 2 kms in length and offers spectacular views of the Pawna reservoir, as well as the forts of Tikona, Visapur, and Tung. 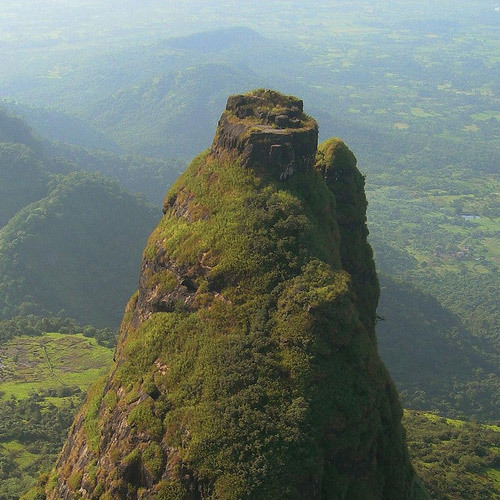 ‘Lohagad’, meaning ‘Iron Fort’, is is protected by the Archaeological Survey of India, and therefore is subject to restrictions on timing. Camping is not allowed at the top, and the gates to the trek trail will be shut by 17:00 hrs. It is best to start early in the morning so you’ll have enough time to explore the top and descend in time. There are different itineraries for the Lohagad trek. Some operators include transport from Mumbai or Pune, while some will pick you up at Lonavala station. All treks begin early in the morning, so that you can eat lunch at the top and descend by 15:00 or 16:00 hrs. 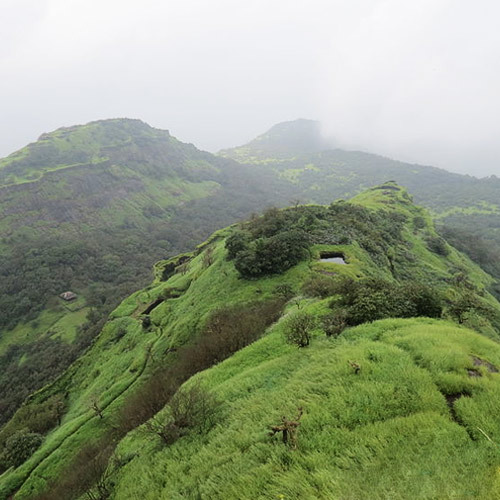 While the Lohagad trek is open year-round, it is absolutely stunning in the monsoon. Rainclouds descend from the skies and a cool mist engulfs the hilly landscape. The trail is lush green, with waterfalls, gushing streams, and moss-covered boulders. During the monsoon, the climb to the top can get a little challenging because of the slippery rocks, but the view from the top is absolutely worth the effort. 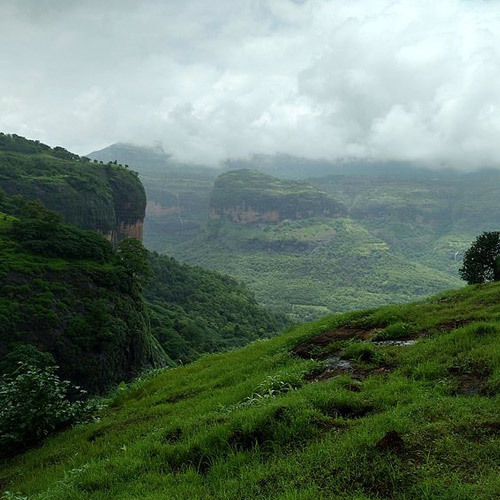 Here’s a list of the top monsoon treks in Maharashtra that are a must-do this monsoon! 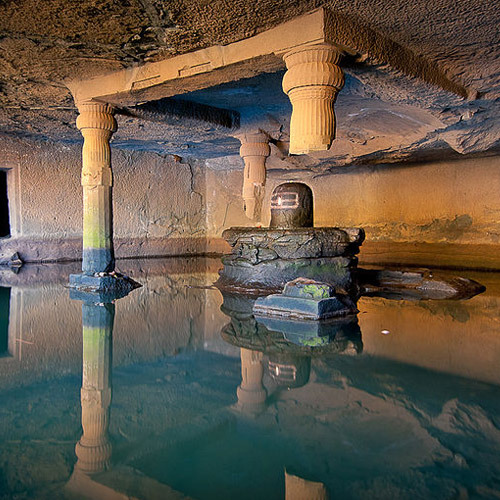 Lohagad fort is located about 15 kms from Lonavala, 120 kms from Mumbai, and 65 kms from Pune. You can board a train to Lonavala station (major station) or to Malavli station, which is accessible by suburban trains from Pune. If you’re driving, you can get here via the Mumbai-Pune highway. The Lohagad trek is one of the easiest treks near Mumbai and Pune, which is why it is also one of the top treks in Maharashtra. The trail takes about 2 hours to get to the top, with stone steps that lead up to the fort. In the winter, this is an easy walk that even children can do. In the monsoon, the trek is slightly more difficult with gushing water and mossy steps, but it is still an easy climb. Located deep within the jungles of Maharastra, Lohagad fort, also known as the 'Iron fort' is one of the few forts that you must visit during the monsoon. Not just because of its easy trail, but because of the sheer beauty and scale of it. It's only during the monsoon that you will see clouds of mist wrapped around the fort, and you can expect to get some spectacular pictures. This trek to Lohagad is ideal for first-timers as it has a sturdy trekking trail, is not too far from Mumbai, and can be finished in a day. 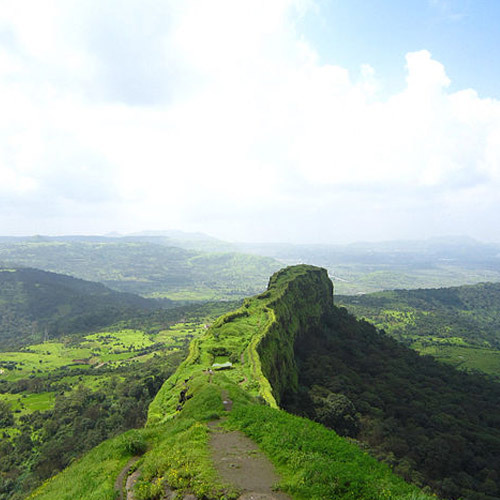 Lohagad (Iron Fort) is one of the most popular treks in Maharashtra and for numerous reasons. This easy trek is perfect for nascent adventurists and nature enthusiasts. Walking through lush green trees and crossing tiny gurgling streams is extremely exciting. The climb to the top can get a little challenging because of the slippery rocks, but the view from the top is absolutely worth the effort. Gather a group of friends and gear up for this fun-filled adventure! Do you want to spend a night in a 5 billion star hotel? This is the right trek for you. Away from clouds of dust and blaring noises of the city, atop a hill, tucked into your sleeping bags, you’ll experience the night sky like never before. This night trek takes you up a short, easy trail to a 4700-foot tall fort, from where the views are unobstructed. This trek is planned to coincide with the Geminids, which are considered to be the most spectacular meteor shower during the year. You should be able to see around 120 meteors per hour! A 6” telescope is set up for you to watch the stars, and you’ll also get to spend a chilly winter evening out in nature. 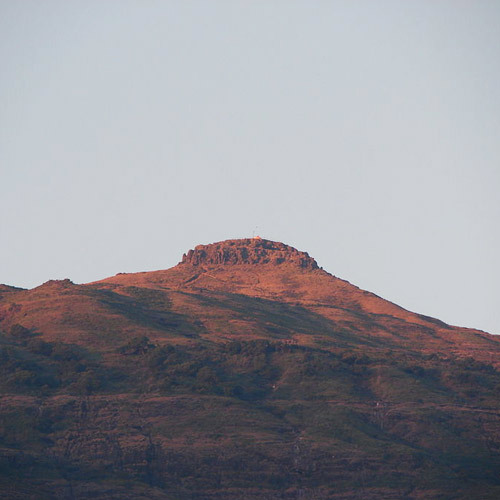 What is the best time to go for the Lohagad fort trek? 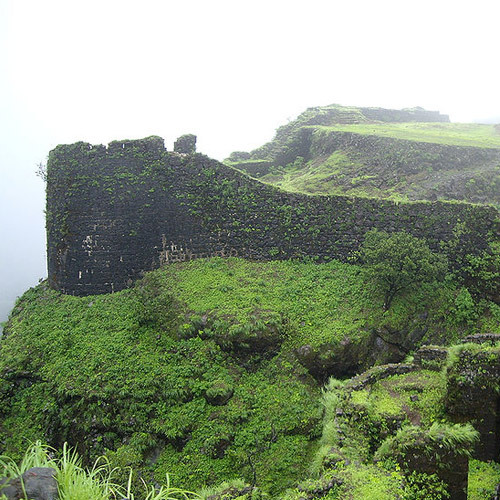 Lohagad Fort is open all year round, but it is most popular during the monsoon. During this time, the landscape is transformed into a rain-drenched wonderland. However, many trekkers like to visit in winter for the dry trail and clear views. Can first-timers do the Lohagad trek? Yes, absolutely. 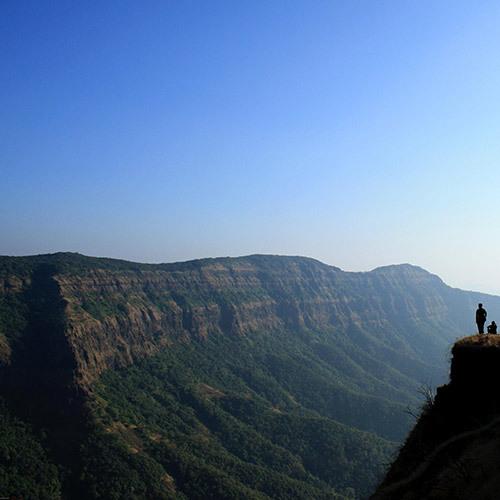 The Lohagad trek is one of the easiest treks around Lonavala, and is suitable for beginners or families with children. In the monsoon, it is a great outdoors experience for children. What should I carry for the Lohagad fort trek? Your operator will provide you with a complete packing list, so do make sure you pack accordingly. However, here are some tips: If you’re going in the monsoon, take a rain coat for yourself and a raincover for your bag. Make sure you’re wearing comfortable trekking shoes and quick-dry clothing. If you like, you can also carry a change of clothes or at least a spare pair of socks and sandals to wear on the way back. Keep a cap, sunglasses, and insect repellent and sunscreen in your bag, and carry some dry snacks and fruit. Read our blog about What to Pack for Trekking in the Sahyadris.